The respective top two seeds, the combination of Slovakia’s Barbora Balazova and the Czech Republic’s Hana Matelova, alongside Japan’s Satsuki Odo and Saki Shibata, booked their places in the final of the Women’s Doubles event at the 2018 ITTF Challenge Belgosstrakh Belarus Open in Minsk, following penultimate round success on the evening of Saturday 17th November. Both ended the hopes of partnerships that had been required to compete in the two day qualification tournament but emerged successful in rather different fashions. Barbora Balazova and Hana Matelova needed the full five games to beat the spirited resistance of China’s Guo Ruichen and He Aige (11-9, 7-11, 11-7, 10-12, 11-6), a pair on international debut; rather more comfortably, Satsuki Odo and Saki Shibata ended the hopes of the Czech Republic’s Karin Adamkova and Aneta Kucerova (11-5, 11-4, 11-6). Wins as status predicted from pairs who have become ever more established this year on the international scene. Notably, if taking into account partnerships that are eligible for the Seamaster 2018 ITTF World Tour Grand Finals to be staged next month in Incheon, Korea Republic, Barbora Balazova and Hana Matelova finished the year in 10th place (140 points), just two positions short of an invitation to the prestigious end of year event. Most creditably in the Korea Republic and in Japan they advanced to the quarter-final round. 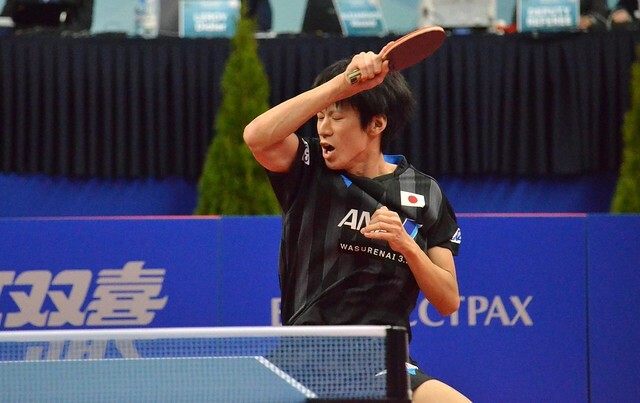 Furthermore, at the recent ITTF European Championships in Alicante, they reached the round before the quarter-finals but it is at ITTF Challenge Series tournaments where they have excelled. They were semi-finalists in Croatia, runners up in Poland. Similarly, it is at ITTF Challenge Series tournaments where Satsuki Odo and Saki Shibata have made their presence felt. Four appearances as a partnership to date; always they have reached the later rounds. Moreover, with each tournament it is step by step they progress. In Poland they reached the quarter-finals, in Spain the penultimate round; then in Thailand they were the runners up, before at the most recent tournament winning in Belgium! Now that’s progress! The final of the Women’s Doubles event is scheduled for 2.30 pm (local time) on Sunday 18th November.